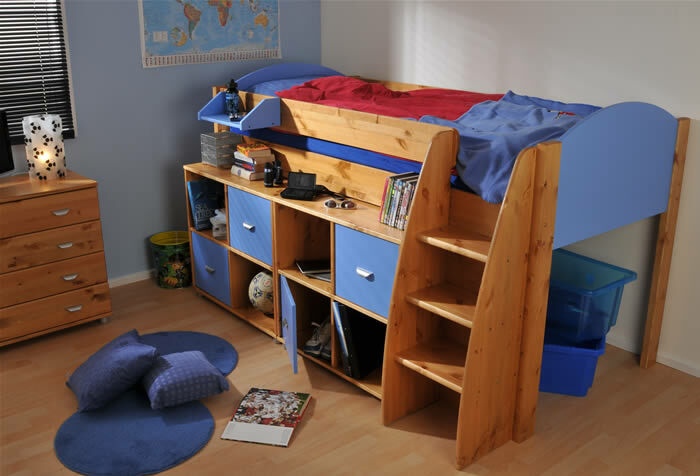 Our Stompa Rondo Midsleeper bed build your own system allows for the right combination based on your child's sleeping and bedroom storage needs. 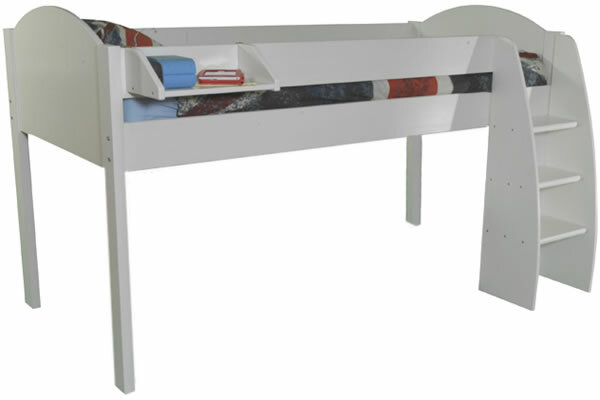 Made from Scandinavian pine the Stompa Rondo is available in a modern white finish with coloured gable ends. 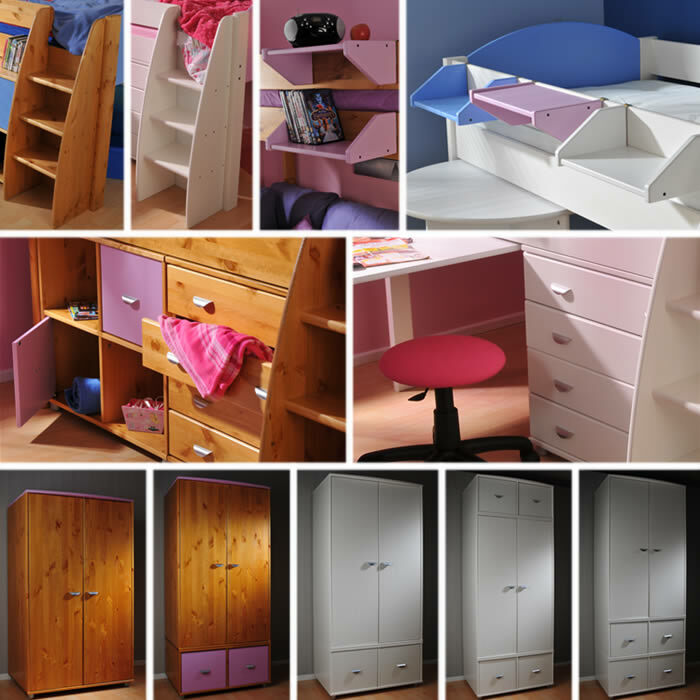 Customise many aspects of the Stompa Rondo to suit any room décor or layout requirements. 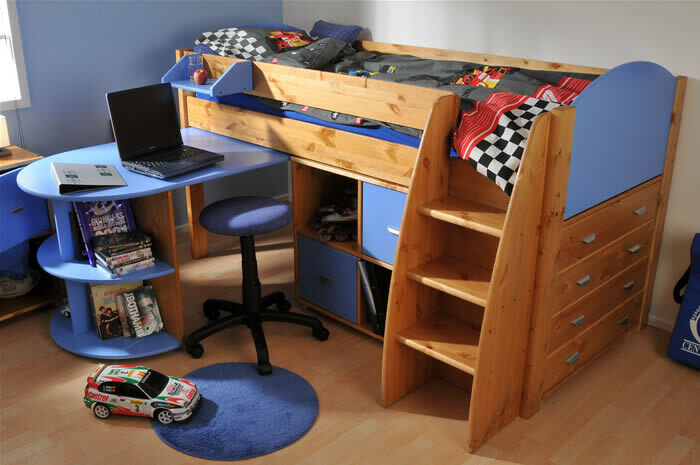 The sturdy step ladder has 3 steps, curved side hand rails and it can be positioned to the left or right side of the bed. 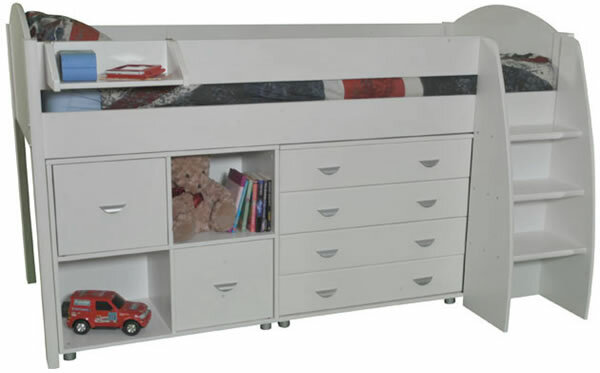 Create the perfect Stompa midsleeper bed for your child's bedroom, choose from a variety of storage solutions including cube units, chest of drawers, wardrobes and clip on shelves. 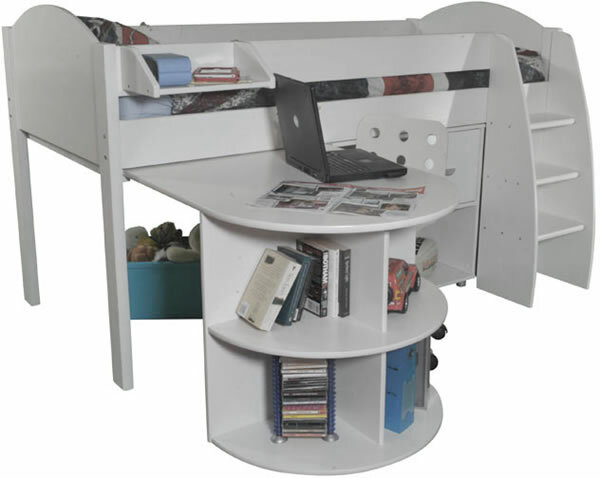 To assist your child work and play the Rondo mid sleeper can be configured with a pull out desk, perfect for home work and saves space. 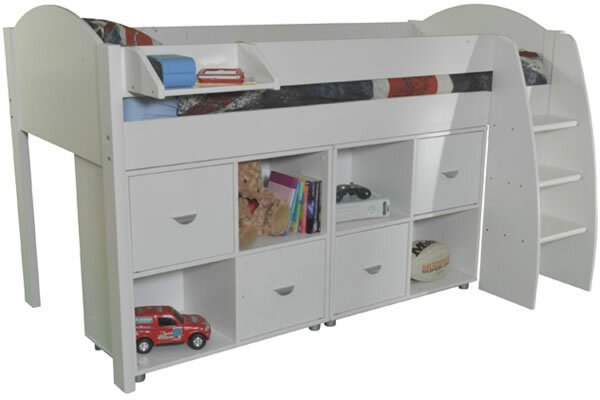 The Clip-on Shelf is not included with the stand alone Rondo midsleeper frame and is available as an optional extra. 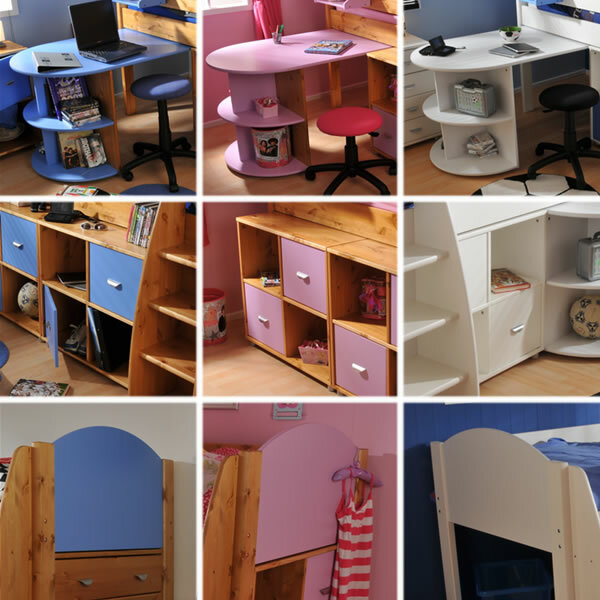 To view all Stompa bed combinations and Stompa furniture please Click Here. 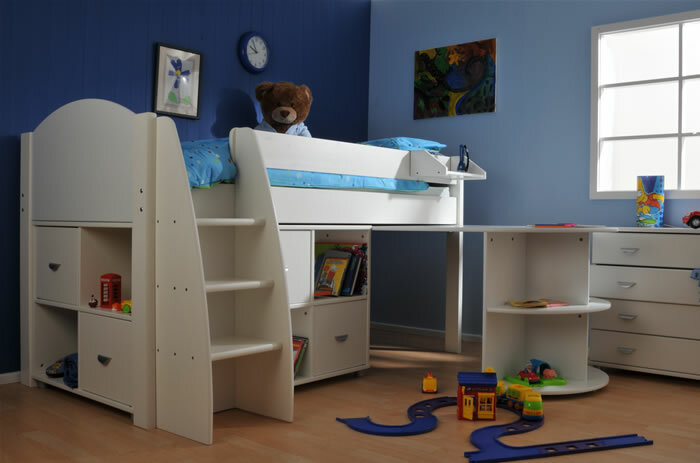 Special Offer - Get 1 x Free Bendy Bunk Light with Stompa Midleeper bed combinations 1 to 6.